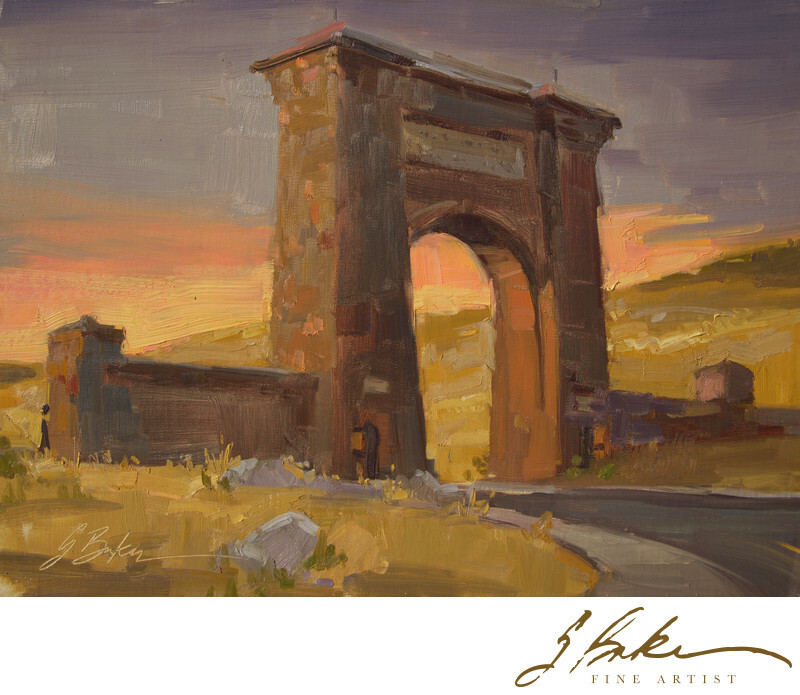 I painted the Roosevelt Arch standing just outside the north entrance to Yellowstone National Park in Gardiner, MT during the inaugural Yellowstone Plein Air Invitational, September 27, 2018. In 1903 Theodore Roosevelt dedicated this fifty-foot basalt arch. It was built to face the train depot where visitors arrived to board stagecoaches and journey into Yellowstone. Inscribed at its top with the words "For the Benefit and Enjoyment of the People," this monument serves as a symbol for what has been called "Americas Best Idea."